Home > How can you measure the value of a webpage? > How is Alexa Rank different from Moz Domain Authority? How is Alexa Rank different from Moz Domain Authority? 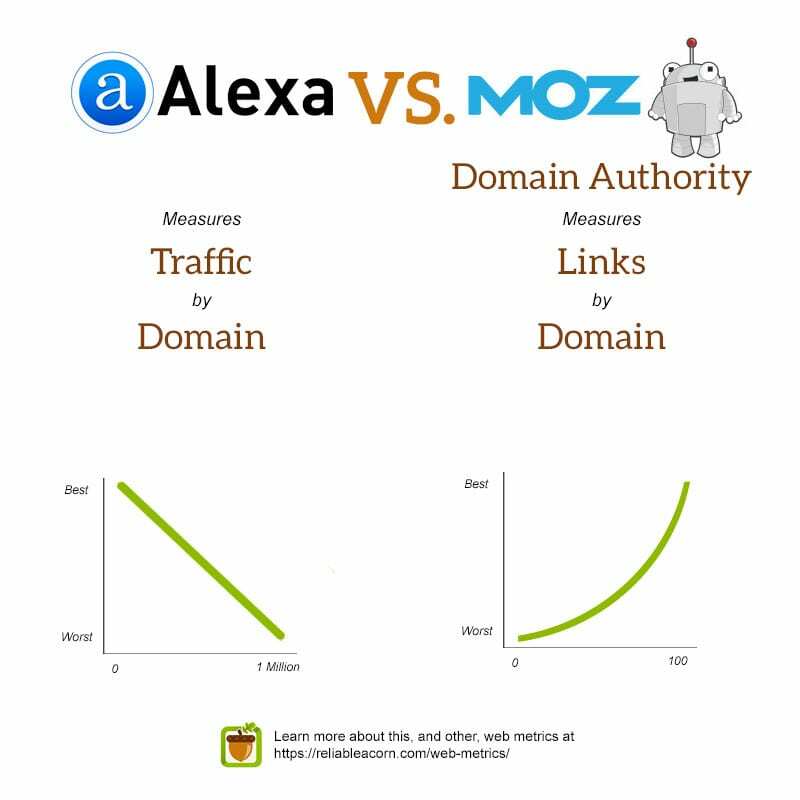 While both Alexa Rank and Moz’s Domain Authority measures websites as a whole, the differences end there. Alexa Rank provides a list of websites in order from most popular to least. This popularity is measured by estimated traffic. That means the website with an Alexa Rank of 1 is the most popular. Alexa stops ranking websites after one million. On the other hand Domain Authority measures a website by links. Websites with the most and highest quality links will have a high Domain Authority. Websites with the least amount or quality of links will have a low score. Domain Authority is provided on a scale between 0 and 100. This scale is exponential. That means a website with a Domain Authority of 50 is not ten points greater than a website of 40, but significantly greater.